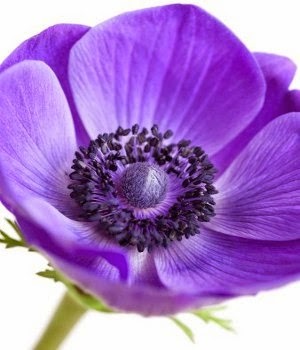 This is the beautiful flower Anemone. According to the Oxford English Dictionary, Greek anemōnē means "daughter of the wind", from ánemosthe wind god "wind" + feminine patronymic suffix -ōnē. The Metamorphoses ofOvid tells that the plant was created by the goddess Venus when she sprinkled nectar on the blood of her dead lover Adonis. The name "windflower" is used for the whole genus as well as the wood anemone A. nemorosa....http://en.wikipedia.org/wiki/Anemone. I love the vibrant purple. 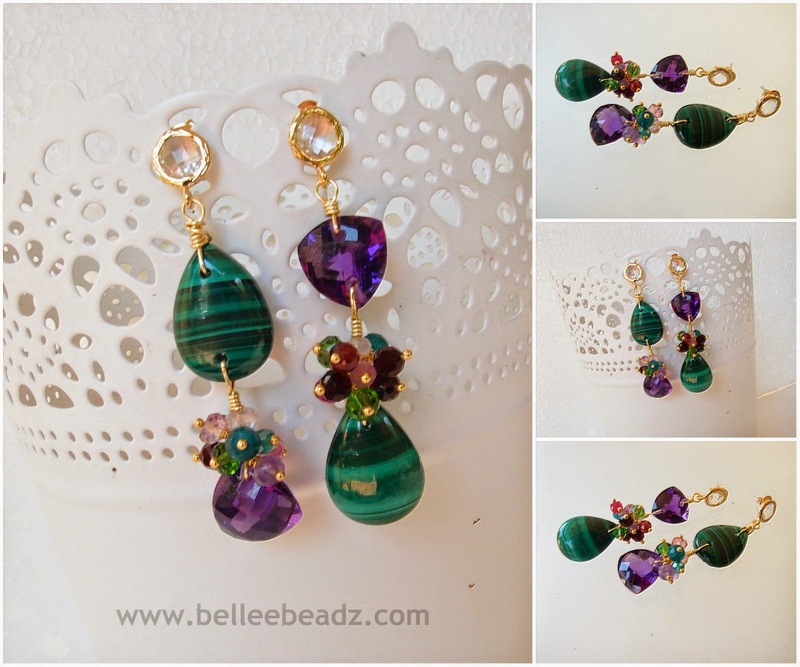 In my creation of the earrings ANEMONE, I've teamed truly outstanding trillion cut amethyst brios with equally vibrant genuine malachite (vs laboratory created stones which are equally beautiful) teardrops. The beauty of this set is the drilling of the holes in the brios. I've used that to 'hang' these stones to show them off to the max. Accompanying these brios are rondelles - pink amethyst/garnet/quartz/rubies. The earrings drop at around 58mm.